Get the eyebrows of your dreams! Brow enhancer helps you easily create beautiful, well-defined eyebrows. Just twist and apply with short, hair-like strokes to achieve the desired fill in for your most natural-looking eyebrows. Waterproof color stays put. Eyebrow brush blends and shapes the brows. I like this product to enhance my fading eyebrow color. I especially like the addition of the brush end to tone down the color to the right intensity. Don't want the eyebrows to be too dark. I like the natural look. I'm blonde & fair & my brows are extremely light so I would never leave the house or accept company without this product. I discovered it several years ago & it's the only one I'll wear due to easy application, natural look, & perfect color for a blonde, taupe. I panic at the thought of running out so I always keep 2 extra! I am a make up artist and as such I have tried many many make up products and really like this item! The Eye Brow Enhancer I always use! I'm blonde & my brows are so light to be almost nonexistent. Without eye brow pencil I'm washed out. This is the only one I've found to be the perfect color, taupe for me, and the easiest to apply looking very natural. Color stays in place all day but removes easily when I wash my face at night. 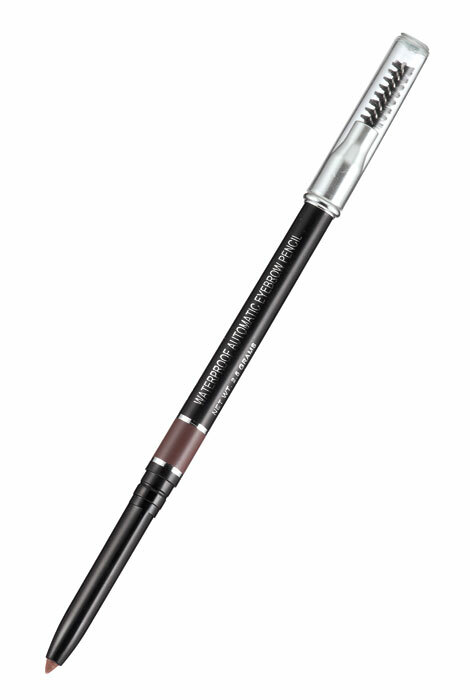 I would easily refer my family & friends to this brow pencil. I always keep 2 ahead because I never want to be without it! I like that you don't have to sharpen it. I like the taupe color which is hard to find. I have fair complexion and light brown hair and the taupe brow enhancer is the perfect color. I also like the "always sharp" point on the pencil. Love the shade. Also looks more natural than other eyebrow pencils. Always has a sharp point. Had it in my color. I thought this item would enhance my eyebrows. Needed something to fill in brows. I am always on the lookout for a good eyebrow pencil. My brows are very light, and I need a product to slightly darken them. Daughter in law uses this. Have used this pencil for years. Looks more natural than other kinds. Always has a sharp point. I have very thin eyebrows so I decided to choose this item to see if its helpful to my situation. I'm looking for a new pencil! My eyebrows are now very faint -- I'd like to enhance them in a way that looks natural. 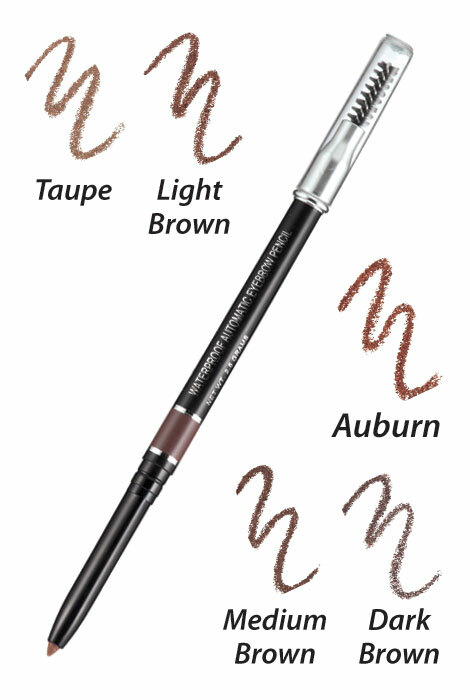 I have very sparse eyebrows, I use another brands color of Taupe, that color seems to work best for me. I hope I like your brand, it's nice to have choices. I have enjoyed its durability. It is a product of good quality. Desperate to cover gray eyebrows. Needed a good pencil/brush combo. really helps to fill in empty spots! Want to try the product. I don't have eyebrows as a result of chemo many years ago, so I have to find ways to "draw on" my eyebrows, and this looked like it might work well for that. looks like it might work for me. i have sparse eyebrows. Will compare it to SmartBrow which i use now. Does waterproof also mean smudge proof? Will it sweat off at the gym? how do you establish which color? BEST ANSWER: My eyebrows are dark, so I chose the dark brown. can you please tell me what is good to use on my eyebrow they are half gone? BEST ANSWER: This is the best I have found. You can make wispy strokes and it looks natural and is waterproof.